Neighbors From Hell: What’s Really Living Upstairs? 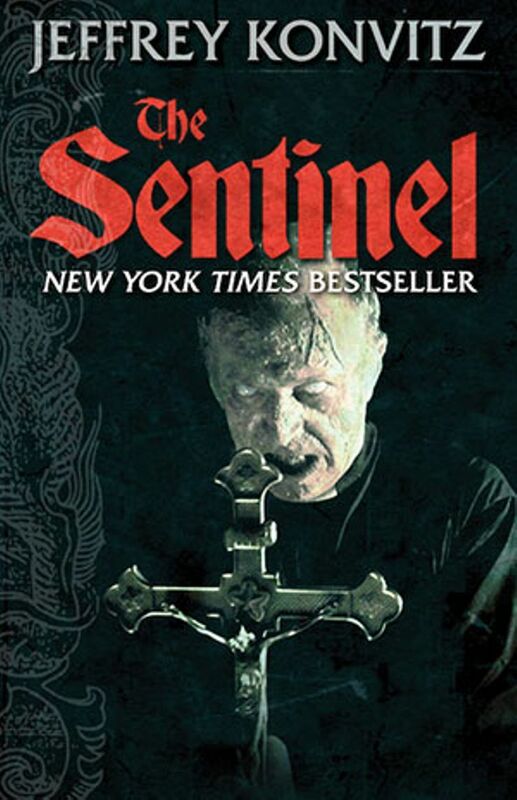 You’ve seen the 1977 cult classic horror film The Sentinel – this is the chilling novel that started it all. What happens when your dream home turns out to be a house from hell … literally? Alison is tired of putting up with her strange neighbors’ behavior, and finally decides to call her landlord to complain … only to be told that none of the people she’s mentioning exist. Later that night, she wakes up to a thumping, scraping noise in the—purportedly empty—apartment above her own. You’ve seen the 1977 cult classic horror film, The Sentinel (Christopher Walken, Jeff Goldblum). This is the chilling horror novel that started it all. The landing was dark; both the third and fourth stairwell lights were out. She inched her way along the wall to the staircase and twisted the solitary bulb. It remained dead. She jiggled the bulb violently, then turned away and began to climb. Slowly. The steps squeaking horribly. The sounds of the contrasting storm outside filling the air. Perspiration poured from her body; her brain ached from the unrelenting strain. Then, suddenly, she recoiled, smashing her head against the wall. She covered her mouth with the back of her palm to prevent an outcry. She whimpered, eyes closed, horrified. She’d stepped on something. Shaking violently, she tried desperately to pull herself together. She flicked on the flashlight and panned the steps at her feet. There was nothing there. She ran the light up the staircase, completely covering each step. The light came to rest on the edge of the fourth landing. In the full flush of the beam sat the cat, Jezebel, the cat that didn’t exist. The frazzled body was motionless; the green eyes fixed. In her mouth was the parakeet, its head torn open, and its feathers shredded from the tiny body, its once delicate form now battered carrion, dripping blood onto the floor. Related: What’s Hiding Inside 1551 Pilarcitos? She was angry. That fool Miss Logan hadn’t believed a damn word she’d said. But here was incontestable proof! Jezebel. Spitting and ominous. Mortimer. Dead. The cat showed her fangs over the shattered body. Allison steadied the knife and took a step upward. The cat put the bird down, arched her back, and hissed. Another step. The cat arched her back even further; Allison took two quick steps. The cat shot out her paw, backed away with a menacing hiss, picked up the bird and ran off into the darkness. 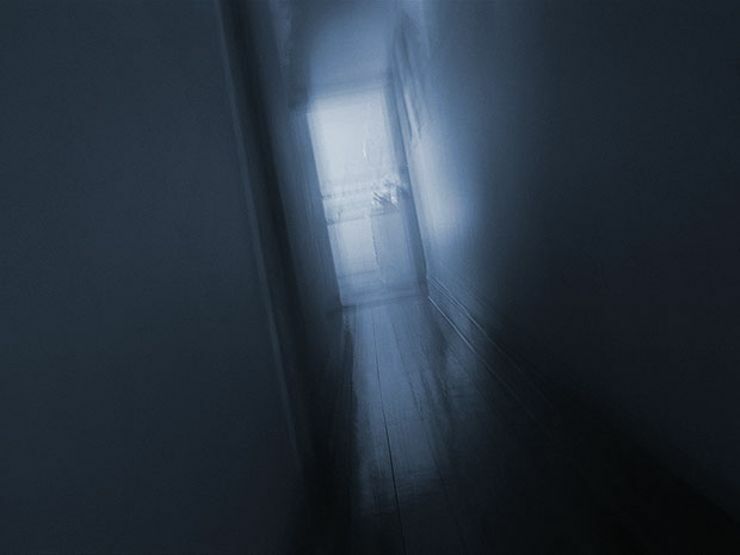 Allison turned off the flashlight; breathing deeply, she climbed the remaining steps to the fourth floor and slowly walked along the corridor to apartment 4A. She leaned, immobile, on the door frame for several minutes, then tried the knob, expecting it to be locked. Surprisingly, the latch clicked and the door swung open. She looked behind her. There was no sign of Jezebel; the hall was empty. She squeezed her way through the small opening into the living room. She studied the darkness. It was too dark, unnaturally so. Almost as if she were looking through an infinite tunnel in an unmapped dimension. She couldn’t even see the flashlight held ready in her left hand or the steel knife that she held tightly in the right. And if not for her highly tuned senses, she might have doubted her own existence. The room was silent; there were no footsteps. Turning on the flashlight, she flicked it over the walls. The furniture was as she’d seen it earlier that day when Miss Logan had taken her through the apartments. She sniffed the air and recoiled. The musty odor was stronger than ever. She wiped her nose to kill the sting and turned toward the grandfather clocks. The faces were clogged with dust; the hands lay still. The fireplace was empty and the living room closets were open. Except for a tattered old umbrella, they, too, were bare. She angled toward the bedroom hallway. The footsteps echoed again. She shut the flashlight, cowered against the wall and held her breath, fearing that even the sound of her heaving chest might be heard. The living room seemed to shrink around her, the walls converging and the ceiling lowering. Frantically, she turned. She’d left the front door partially open. Every muscle begged her to break for safety. Yet, she knew she couldn’t. The bedroom lay a mere twenty feet down the short hallway. And in it the source of the footsteps, the key to her nightmares and, perhaps, the solution to the mystery of the missing tenants. Brandishing the knife before her, she moved deliberately down the corridor, shoulder touching the wall, one step at a time. The footsteps ceased; there was a squeaking. She reached the open door to the bedroom and extended the knife before her. At first there was no indication of life. 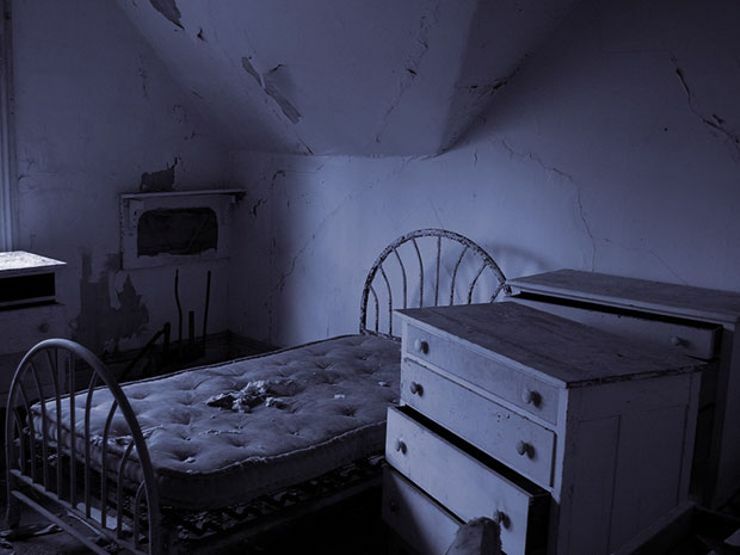 She waited, then turned toward the faint outline of the bed. A soft rustling drifted out of the darkness. She pressed the button on the flashlight; it didn’t work. She shook the cylinder violently; the batteries jiggled, but still no light. There was movement; a figure slid through the darkness and stood, back to Allison, against the outline of the rear window. “Hello,” she called, her voice choked and frightened. There was no answer. “Hello,” she repeated. The figure stood silent, motionless. She slowly moved toward the form, calling to it in a high-pitched voice. The knife was fully extended; she shook the flashlight in desperation. Never before had she known such fear, such restrained hysteria. Reaching the figure, she touched its shoulder. It turned, but in the darkness of the room, she could only see the outline of a head. “Who are you?” she begged, tears rolling down her cheeks. The figure stood silent, immobile. She jiggled the flashlight once more. It burst on, a powerful beam of white shattering the darkness and shining directly into the eyes of her father! He was pallid white, a death mask covering her face. The lips and eyelids were swollen and hideous. Blue veins crisscrossed the crusted skin. His hair was shriveled, his eyeballs opaque. The cobalt scars that coursed along the right side of his face, down the neck and onto the right arm were festered; colorless pus oozed on the surface. And he was naked. Her hideous scream fractured the night. Lurching backward into a chair, she fell against the wall, still screaming, then stumbled back and forth, swinging the flashlight wildly in ever-widening arcs. The beam sporadically fell across her father’s charred body, as he painfully moved toward her, his right leg partially paralyzed and dragging behind. She ran backward, colliding with the furniture. The light continued to spray the room. It caught the bed and framed two fat naked women laying in an obscene position. Then darkness. She ran into the living room, fell over an armchair, and sprawled across the floor, losing her grasp on the flashlight. It flickered out. The sound of the approaching footsteps rang in her ears. The chair had fallen on her; she pushed frantically to get it off. Want to keep reading? Download The Sentinel on Amazon, Barnes & Noble, iTunes, Open Road Media.